This is about all the activities, initiatives and discussions on various environmental issues and topics relevant to Vizag and in general as well. This group will also be a platform to share your views regarding events by MEECONS. This topic contains 0 replies, has 1 voice, and was last updated by Ravi Kanth Reddy Sathi 3 years, 10 months ago. 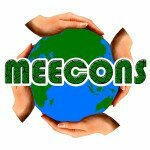 MEECONS aims at creating environmental consciousness among people. We do workshops and film screenings as of now. But, we want to know the general perspectives of people as well. Suggest us the best and effective ways of creating environmental consciousness among people. Post your views here.